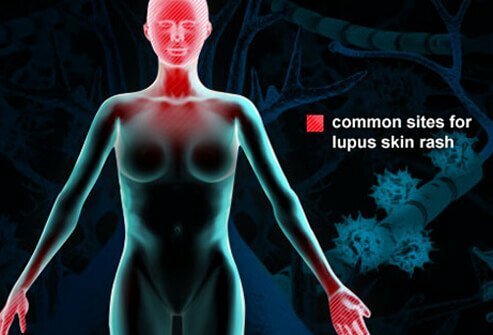 What Are Causes and Risk Factors of Lupus? What Are Lupus Symptoms and Signs? When Should Someone Seek Medical Care for Lupus? How Do Health Care Professionals Diagnose Lupus? What Are Home Remedies for Lupus? What Is the Medical Treatment for Lupus? Is There a Way to Prevent Lupus Flares? What Are Complications of Systemic Lupus? What Is the Prognosis for Lupus? Systemic lupus erythematosus (SLE), or lupus, is an autoimmune disease in which a person's immune system attacks various organs or cells of the body, causing damage and dysfunction. Seek medical care for lupus if you have rapid swelling of one of your extremities, fever over 102 F, or acute abdominal pain or chest pain. Lupus treatment may incorporate NSAIDs, antimalarial drugs, steroids, immune-suppressing agents, and other medications depending upon the symptoms and signs you are experiencing. Lupus is called a multisystem disease because it can affect many different tissues and organs in the body. Some patients with lupus have very mild disease, which can be treated with simple medications, whereas others can have serious, life-threatening complications. Lupus is more common in women than men, and for reasons that are not precisely understood, its peak incidence is after puberty. While lupus is a chronic illness, it is characterized by periods when the disease activity is minimal or absent (remission) and when it is active (relapse or flare). The outlook (prognosis) for patients with lupus today is much better than years ago because of greater awareness and more accurate tests leading to earlier diagnosis and treatment as well as more effective and safer medications and monitoring methods. As with other autoimmune diseases, people with lupus share some type of common genetic link. An identical twin of a person with lupus has a threefold to tenfold greater risk of getting lupus than a nonidentical twin. Moreover, first-degree relatives (mother, father, brother, sister) of people with lupus have an eightfold to ninefold increased risk of having lupus compared with the general public. Although an identical twin is much more likely to have lupus if her identical sibling has lupus, the likelihood of developing the disease in the unaffected twin is not 100%. Despite the nearly identical genetic makeup of identical twins, the probability of the unaffected twin developing the disease if the other twin has it is around 30%-50% or less. This implies that environmental factors may help determine whether or not the disease develops in a person. Outside of random occurrences of lupus, certain drugs, toxins, and diets have been linked in its development. Sun exposure (ultraviolet light) is a known environmental agent that can worsen rashes of patients with lupus and sometimes trigger a flare of the entire disease. In the past, the drugs most frequently responsible for drug-induced lupus are procainamide (Procanbid), hydralazine (Apresoline), minocycline (Minocin), phenytoin (Dilantin), and isoniazid (Laniazid). However, newer medications have been associated with drug-induced lupus, such as the new biological agents (etanercept [Enbrel], infliximab [Remicade], and adalimumab [Humira]) used to treat rheumatoid arthritis. Generally, lupus that is caused by a drug exposure goes away once the drug is stopped. Many women with lupus note that symptoms may be worse after ovulation and better at the beginning of the menstrual period. Estrogen has been implicated in making the condition worse, and this problem is currently being studied. Nevertheless, as a result of recent research, we do know that women with lupus may take birth-control medications without risk of activating their disease. Women who have antiphospholipid antibodies (such as cardiolipin antibodies, lupus anticoagulant, and false-positive tests for syphilis/RPR) should not take estrogens or birth-control pills because of the risk of blood clotting. Pregnant mothers with antiphospholipid antibodies have an increased risk of miscarriage and premature birth. Treatments include aspirin and blood-thinning medications (anticoagulant; heparin or low molecular weight heparin, Lovenox). Pregnancy does not appear to worsen the long-term outcome of patients with lupus. On the other hand, active lupus tends to increase the risk of miscarriage and preterm birth. Babies of lupus mothers with the SSA antibody (anti-Ro antibody) can develop heart electrical abnormalities and a temporary skin rash (lupus neonatorum, also known as neonatal lupus). Pregnant mothers with lupus are monitored closely by obstetricians. At the onset of lupus, the symptoms are commonly very general, sometimes making diagnosis of the disease difficult. The most common initial complaints are fatigue, fever, and muscle and joint pain. This is called a "flu-like syndrome." Fatigue is the most common and bothersome complaint. It is also often the only symptom that remains after treatment of acute flares. A flare in lupus is an acute increase in symptoms. Fever during lupus flares is usually low-grade, rarely exceeding 102 F. A temperature greater than this should stimulate a search for an infection as the source of the fever. However, any fever in lupus should be considered an infection until proven otherwise. Muscle pain (myalgia) and joint pain (arthralgia) without or with joint swelling (arthritis) are very common with the new onset of lupus and with subsequent flares. Musculoskeletal system: Joint pains (without swelling) are more common than arthritis in people with lupus. The arthritis of lupus is usually found on both sides of the body. The most frequently involved joints are those of the hands, knees, and wrists, often mimicking the joint disease of rheumatoid arthritis. People with lupus, especially those needing high doses of corticosteroids (steroids, prednisone), can suffer from a certain type of low-blood-flow injury to bone, causing death of the bone (avascular necrosis). The muscles themselves can sometimes become inflamed and very painful, contributing to weakness and fatigue. Skin and hair: The skin is involved in more than 90% of people with lupus. Lupus skin disease is also referred to as cutaneous lupus. Skin symptoms of lupus are more common in whites than in African Americans. While the classic lupus rash is a redness on the cheeks (malar blush) often brought on by sun exposure, many different types of rashes can be seen in SLE. Discoid lupus with the red skin patches on the skin and scaliness is a special characteristic rash that can lead to scarring. It usually occurs on the face and scalp and can lead to loss of scalp hair (alopecia). It is more common in African Americans with lupus. Occasionally, discoid lupus can occur as an isolated skin condition without systemic disease. Hair loss can occur with flares of SLE even without skin rashes in the scalp. In this situation, the hair regrows after the flare is treated. Hair loss can also occur with immunosuppressive medications. Kidney system: Kidney disease in lupus (lupus nephritis) also varies from mild to severe. Severe kidney disease often requires immune-suppression medication. Early signs of kidney disease can be detected by routine urine testing (urinalysis). Ultimately, a kidney biopsy may be necessary to both define the cause of the kidney disease as being lupus-related as well as to determine the stage of the kidney disease in order to optimally guide treatments. Kidney biopsies are often performed by fine-needle aspiration of the kidney under radiology guidance, but in certain circumstances, a kidney biopsy can be done during an open abdominal operation. Heart and blood vessels: Inflammation of the sac surrounding the heart (pericarditis) is the most common form of heart problem in people with lupus. This causes chest pain and can mimic a heart attack. Also, growths (vegetations) can form on heart valves causing heart problems. Hardening of the arteries (atherosclerosis) can lead to angina (heart pain) and heart attacks in lupus patients who have required long-term prednisone therapy for severe disease or who have had longstanding untreated inflammation. In some people with lupus, the arterial blood supply to the hand can experience intermittent interruptions due to spasm of the artery. This causes whiteness and blueness in the fingers and is called Raynaud's phenomenon. It is brought on by emotional events, pain, or cold temperatures. Nervous system: Serious brain (cerebral lupus or lupus cerebritis) and nerve problems and acute psychiatric syndromes occur in about 15% of patients with lupus. Potential disorders include seizures, nerve paralysis, severe depression, psychosis, and strokes. Spinal cord inflammation in lupus is rare but can cause paralysis. Depression is common in SLE. Sometimes it is directly related to active disease and sometimes to emotional difficulties in coping with a chronic illness or to the medications used to treat it, especially high doses of prednisone. Lungs: More than 50% of people with lupus have some sort of lung disease. Inflammation of the lining of the lung (pleurisy) is the most common problem. This can lead to chest pain and shortness of breath and can be confused with blood clots in the lung or lung infection (pneumonia). Collections of water in the space between the lung and the chest wall occur as well (called pleural effusions). Pneumonia can occur in lupus patients who are taking immunosuppressive medications. Blood and lymph system: About half of people with lupus have anemia (low red blood cell counts), and up to half can have thrombocytopenia (low platelet counts) and leukopenia (low white blood cell counts). Low platelet counts can lead to bleeding and bruising in the skin and, if severe, can cause internal bleeding. Some lupus patients are predisposed to developing blood clots in veins (leading to phlebitis) or arteries (leading to strokes or other problems). This is most likely to occur in patients who have certain autoantibodies in their blood called antiphospholipid antibodies. Patients with these clinical problems and these antibodies may need to take blood thinners (anticoagulants) for prolonged periods of time. Women with these antibodies can also suffer from a high frequency of spontaneous miscarriages (as described above). Stomach, intestines, and associated organs: Many patients with lupus develop painless ulcers in the mouth and nose at some point in their disease. Abdominal pain in lupus can be due to inflammation of the lining of the abdomen, infection of the intestines, low blood flow to the intestines caused by a clot, or inflammation of the vessels flowing to the intestines. If the person has a lot of free-floating fluid in the abdomen (ascites), this fluid may also become infected, causing severe pain. Eyes: Inflammation and damage to the retina is a rare complication of lupus. Dryness of the eyes is very common in lupus patients. People with lupus often have to be screened by an ophthalmologist if they are being treated with the antimalarial drugs chloroquine (Aralen Phosphate) or hydroxychloroquine (Plaquenil Sulfate). rapid swelling of one or more extremities (arms, legs, hands, or feet). Most often lupus is evaluated and treated in the doctor's office. Rheumatology is the field of medicine that is dedicated to autoimmune diseases such as lupus. A rheumatologist is an expert in evaluating and treating lupus. Malar rash: This is a "butterfly-shaped" red rash over the cheeks below the eyes. It may be a flat or a raised rash. Discoid rash: These are red, raised patches with scaling of the overlying skin. A subgroup of patients have "discoid lupus" with only skin involvement and do not have systemic lupus erythematosus. All patients with discoid lupus should be screened for systemic involvement. Photosensitivity: A rash develops in response to sun exposure. This is not to be confused with heat rash that develops in body folds or moist areas of the body with exposure to heat. Oral ulcers: Painless sores in the nose or mouth need to be observed and documented by a doctor. Arthritis: The arthritis of lupus usually does not cause deformities of the joints. Swelling and tenderness must be present. Serositis: This refers to an inflammation of various "sacs" or membranes that cover the lung, cover the heart, and line the abdomen. Inflammation of these tissues causes severe discomfort in the areas affected. Kidney disease (nephritis): There is persistent loss of protein in the urine, or a microscopic analysis of the urine, demonstrates inflammation of the kidneys. This can be demonstrated when microscopic analysis of urine has a particular cellular element referred to by pathologists as a "cast." Neurological disorder: This can present as seizures or as a primary psychiatric disorder. Blood disorder: Low blood counts of various blood components are known to occur. Immunologic disorder: This requires special laboratory testing for specific markers of disease in lupus. These tests include antibodies to DNA, a nuclear protein (Sm), or phospholipids (which includes the falsely positive test result for syphilis/RPR, cardiolipin antibodies, and lupus anticoagulant). The presence of these and other antibodies that can react with the body's own tissues is why lupus is called an autoimmune disease. Positive antinuclear antibody: A more general marker in the blood for the presence of an autoimmune disease, these "ANA" levels increase with age, thereby somewhat increasing the rate of an incorrectly positive test as a person gets older. The ANA test is most useful when the result is negative, which essentially rules out the diagnosis of SLE, because most people with lupus have a positive ANA test result. Home care for lupus generally involves taking the prescribed medications and adhering to good practices such as using sunscreen because there is often a history of skin sensitivity to sunlight. People with sun-induced rashes should always wear a high SPF lotion that blocks both UVA and UVB types of ultraviolet light. Those taking oral steroid therapy or immune-suppressing agents should be vigilant if a fever develops, since fever can occur with lupus flares or with a superimposed problem, especially infection. Ibuprofen (Motrin, Advil) and other nonsteroidal anti-inflammatory drugs are used to reduce inflammation. Ibuprofen and similar drugs can harm kidney function, especially in people who already have kidney problems. Many people with lupus can experience significant relief of their symptoms without the use of steroids or other immune-suppressing agents (such as azathioprine [Azasan, Imuran] or cyclophosphamide [Cytoxan, Cytoxan Lyophilized, Neosar]). However, certain acute complications (such as acute kidney failure) caused by lupus may require high doses of oral or intravenous steroids along with other immune-suppressive drugs. Some SLE patients will require long-term treatment with steroids and immune-suppressing agents. Antimalarial drugs such as hydroxychloroquine and chloroquine are excellent alternatives for people with lupus who do not respond well to ibuprofen or aspirin (Bayer Aspirin, Bufferin, Ecotrin). Many people on antimalarial drugs experience significant relief of their symptoms, especially rashes, fatigue, and joint and muscle pains. Hydroxychloroquine has been shown to decrease the frequency of flares in patients with systemic lupus erythematosus. Based on these data, it is widely believed that all patients should be treated with hydroxychloroquine indefinitely, unless they develop adverse effects. However, with antimalarial drug use, careful periodic evaluation of the eyes is required to prevent serious complications. A new B-cell-suppressing treatment is belimumab (Benlysta). Belimumab blocks the stimulation of the B cells (a B-lymphocyte stimulator [BLyS]) and is indicated for the treatment of adult patients with active autoantibody-positive systemic lupus erythematosus who are receiving standard therapy. It is important to note that the efficacy of belimumab has not been evaluated in patients with severe active central nervous system lupus or severe active lupus nephritis. Belimumab has not been studied in combination with intravenous cyclophosphamide or other biologic therapies. Some patients can benefit from dietary treatment with food supplementation with dehydroepiandrosterone (DHEA) over the counter. On the contrary, patients with autoimmune diseases, including lupus, should not take "immune booster" supplements such as echinacea. For people with sun-sensitive lupus rashes, appropriate use of ultraviolet-blocking sunscreens and protective clothing is critical. Heat, infrared light, and, rarely, fluorescent light can also bring on flares. Topical steroid creams are also helpful for lupus-associated rashes, once they develop. A doctor should closely monitor extended use of steroid creams, especially on the face and covered areas. Treatment of seizures or psychiatric disturbances usually involves therapy directed at the type of disturbance itself (the use of anticonvulsants for seizures, for example, and the use of antidepressants for severe depression). Steroids are used to rapidly reduce inflammation when necessary. An important side effect of steroids and other immune-suppressing agents is an increase in the susceptibility to dangerous infections. In pregnancy, the preferred steroid for the treatment of lupus is prednisone (Meticorten, Sterapred, Sterapred DS) because it crosses into the fetus much less than other steroid agents. Steroids should not be stopped abruptly if you have been taking them for more than several weeks. Your health care professional will direct you how to taper the medicine. If blood clots form spontaneously in the body, treatment with an agent that prevents clot formation is critical. For this reason, use of heparin or warfarin (Coumadin) is advised. In pregnancy, heparin is the agent of choice because of the adverse fetal effects of warfarin. SLE is undoubtedly a potentially serious illness with involvement of numerous organ systems. However, it is important to recognize that most people with SLE lead full, active, and healthy lives. Periodic increases in disease activity (flares) can usually be managed by varying medications. However, since ultraviolet light can precipitate and worsen flares, people with systemic lupus should avoid sun exposure in order to prevent lupus flares. Sunscreens and clothing covering the extremities can be helpful. Abruptly stopping medications, especially corticosteroids, can also cause flares of lupus and should be avoided. People with SLE are at increased risk of infections, especially if they are taking corticosteroids or immunosuppressive medications. Therefore, any unexpected fever should be reported and evaluated. The key to successful management of SLE is regular contact and communication with the doctor, allowing monitoring of symptoms, disease activities, and treatment of side effects. While it usually is not, lupus can be organ-threatening. For example, lupus can lead to complications of kidney failure, brain damage, scarring of skin, and eye injury. Moreover, the medications used to control lupus can sometimes lead to organ injury or lead to infection because of suppression of the natural immune system. Steroid use is associated with a number of complications, including psychiatric disturbances, increased susceptibility to infection, fragile bones, cataract formation, diabetes and worsening of existing diabetes, high blood pressure, insomnia, thinning of the skin, puffiness of the face, and avascular necrosis of joints. There is a much higher occurrence of complications of lupus in pregnancy, especially if the kidneys are involved by the disease or if the disease is active. Women whose lupus has been inactive for six to 12 months are more likely to have a successful pregnancy. In addition, antibodies formed in the mother that are transferred from mother to fetus can occasionally affect the infant, leading to rashes, low blood counts, or more seriously a slow heart rate due to complete heart block (neonatal lupus). For these reasons, all women with lupus who are or who desire to become pregnant should consult with their treating rheumatologist or other treating physicians and should be referred for "high-risk" obstetric care. The prognosis varies depending on whether there is serious organ inflammation (for example kidney or brain involvement). Many lupus patients have very limited disease and live relatively normal lives with minimal problems. Others have multiorgan involvement with kidney failure, heart attacks, and strokes. The diversity of outcomes reflects the diversity of the disease. With respect to fertility, women with lupus are just as capable of becoming pregnant and having children as the general population. Typical skin rash of lupus on the face. Although certain rashes are more characteristic of lupus, the skin manifestations are many. Deep venous thrombosis (blood clot). Notice the contrast between the involved left leg and the normal right leg. Redness, swelling, and warmth combined with discomfort in the involved leg are cardinal manifestations of a deep venous thrombosis. In what ways may stress affect the patient with lupus? First of all, in some lupus patients (as in people without lupus), stress may cause no direct or indirect effects. Stress, however, may affect a person with lupus in one of three ways. Stress may cause the same reactions that can occur in any person who does not have lupus. Stress can be associated with (precipitate or initiate) the first appearance of their lupus. Stress may be associated with a flare-up of their already existing disease. Garcia-Carrasco, M., C. Mendoza-Pinto, M.H. Cardiel, et al. "Health related quality of life in Mexican women with systemic lupus erythematosus: a descriptive study using SF-36 and LupusQoL." Lupus 21.11 Aug. 8, 2012: 1219-1224. https://doi.org/10.1177/0961203312456749?. Giannouli, Stavroula, et al. "Anemia in Systemic Lupus Erythematosus: From Pathophysiology to Clinical Assessment." Ann Rheum Dis Aug. 3, 2005. Kohler, Sr., J.A., and A.R. Ellis. "Libman-Sacks endocarditis in pediatric patient with systemic lupus erythematosus." ?Pediatr Cardiol 33.8 Dec. 2012: 1466-8. doi: 10.1007/s00246-012-0421-6. Epub 2012 Jul 11. Weidenbusch, Marc, et al. "The Innate Immune System in Human Systemic Lupus Erythematosus." Clinical Science 131.8 Mar. 28, 2017: 625-634. Weisman, Michael H., et al. Practical Rheumatology. 3rd ed. Philadelphia: Mosby, 2004. The signs and symptoms of lupus can vary greatly from patient to patient. What were your symptoms and signs at the onset of your disease? What prevention measures do you use to avoid getting lupus flares? What treatments have been effective for your lupus?